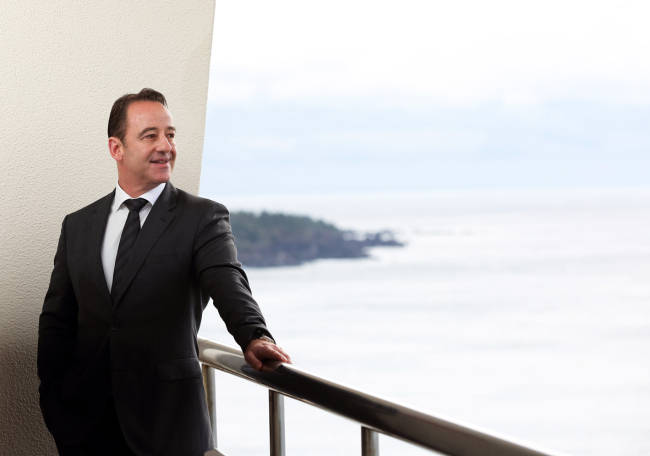 Patrick Verove, general manager of Hyatt Regency Jeju, says he was destined to work in the international hospitality sector -- not just at any hotel, but ones located near the sea. Working and living by the sea has always been in his DNA, he said in a recent interview, noting that his father was in the French Navy, which took him and his family to many ocean-side locales. Moreover, he was born in Cameroon, Africa, near the ocean. “In Australia, I worked at Hyatt near the ocean. In Guam, near the ocean. Hyatt Incheon is on (Yeongjongdo) Island as well. Now, Jejudo, an island. 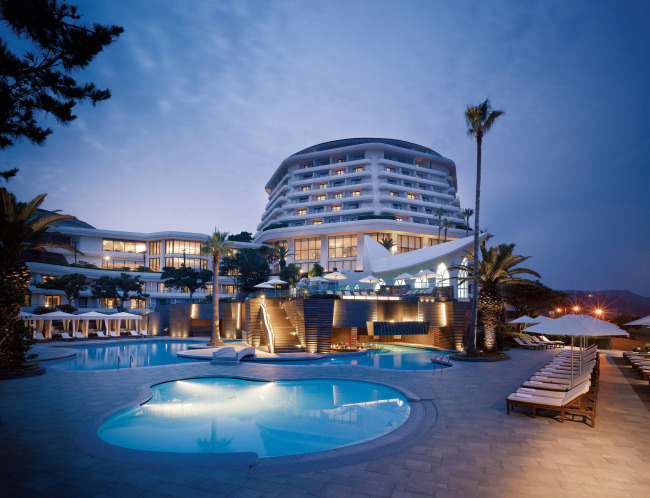 I was destined to manage hotels near the sea,” said the 49-year-old hotel executive. He noted that he once considered joining the navy before studying hotel management. Verove has been with Hyatt Hotels Corp. for 28 years, and became the general manager of Hyatt Regency Jeju early this month -- his first promotion to the position. Earlier, he was with Grand Hyatt Incheon for five years as a hotel operations manager. He said that as a general manager of Hyatt Jeju, his top priority would be to build it as a “weekend travel destination hotel,” and motivate and empower his employees. “It’s on a great location, near the ocean, and it is the only international hotel brand in the Jungmun (Tourism Complex) on Jejudo Island. It is over 30 years old, and we want to build it as a ‘warm, cozy hotel.’ Our staff can make a difference,” he said. This means venturing beyond its current market segment -- a hotel for business travelers, meetings, incentive tours, conventions and exhibitions, or the MICE industry. Verove said Hyatt Jeju seeks to become “a home away from home” for families and young couples who want to spend the weekends on the island near the ocean and enjoy the natural surroundings. “Jejudo is cozy and warm. If you go to some hotels, they’re huge, big, wide and impressive. But people can get easily intimidated,” he said. In the MICE arena, the hotel plans to focus on tailoring its services to small and medium-sized enterprises and start-ups -- a “retreat for SMEs and start-ups” where they can hold business meetings and conferences. To realize its new vision, a complete renovation of the hotel is being considered next year, including increasing the number of guest rooms from the current 220 to 300. “Jejudo is a challenging location, but with a lot of potential,” Verove said.